The AJ Bell World Triathlon Leeds 2019 returns to the city for a fourth time on 8-9 June 2019, representing the pinnacle of triathlon competition in the UK and providing more than 5,000 recreational triathletes with the unique opportunity to compete on much of the same course as the world’s best. Following in the footsteps of the unforgettable 2014 Tour de France Grand Départ in Leeds and Yorkshire, 2018's event saw in excess of 70,000 spectators line the streets as the world's best were roared home by a huge and passionate Leeds crowd. The AJ Bell World Triathlon Leeds 2019 will be organised exclusively by British Triathlon in partnership with Leeds City Council, UK Sport and the ITU. The same experienced team who worked on the event in 2017-18 will be back with plenty of credentials including Accenture British Triathlon Mixed Relay Cup, Tri Liverpool and the ITU World Triathlon Series event in Hyde Park, three events well known for their event experience. 2019’s ITU World Triathlon Leeds will see both the amateurs and elite – including many of Team GB's aspiring Tokyo 2020 Olympians, once again head back to Leeds for what is set to be an unforgettable event on the triathlon calendar. Having the best volunteers in the world! The dedication and hard work of all the volunteers made 2018 a big success. 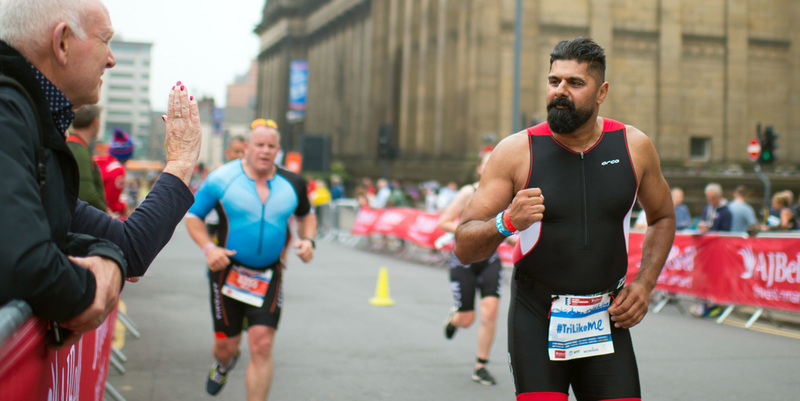 Everything we do aims to make your AJ Bell World Triathlon Leeds 2019 experience even better.